So, you want to kill mold? Don’t use bleach! Usually, when most homeowners notice mold, they get out the bottle of bleach thinking a few sprays will solve the problem. One of the most popular blogs, The Huffington Post, continues to perpetuate the myth that spraying bleach will take care of your mold problem. Even information on The Center For Disease Control (CDC) website still suggests using bleach to kill mold. The truth is, using chlorine bleach to kill mold is probably one of the worst things you can do. As a matter of fact, the Occupational Safety and Health Administration (OSHA), stopped recommending the use of bleach for dealing with mold problems. And, the Environmental Protection Agency (EPA) updated their guide as well, removing the suggestion to use bleach to kill mold. The problem is, it’s true that bleach can kill some mold in some places some of the time. But, bleach only works to remove mold on hard, impermeable surfaces like bathtub and shower surrounds or tiles. However, on porous surfaces like drywall or hardwood floors, it won’t work to kill mold or keep it from coming back. 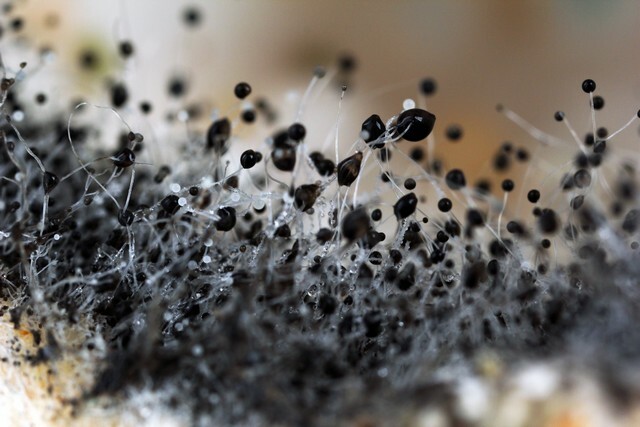 Because mold spreads its roots (called mycelia and hyphae) deep into porous surfaces. 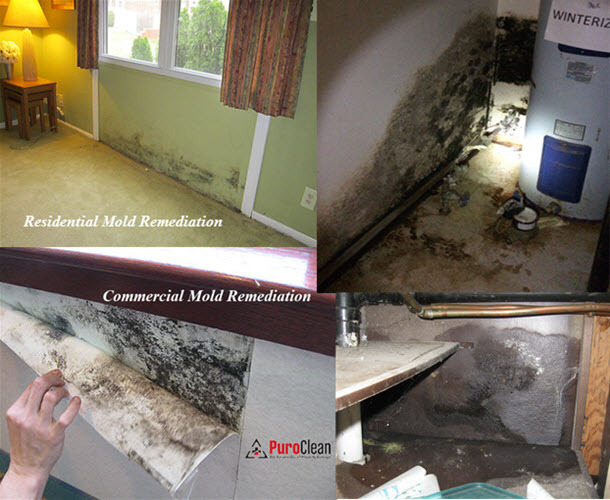 Simply spraying a bleach solution on the surface won’t kill mold spores at their roots. 1. 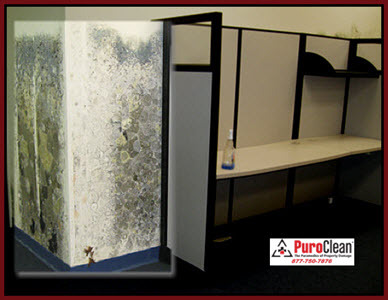 First, bleach encourages toxic mold growth on porous surfaces because it provides excess moisture. Bleach contains about 90% water. When you apply bleach to a surface, the chlorine quickly evaporates leaving behind a lot of water. 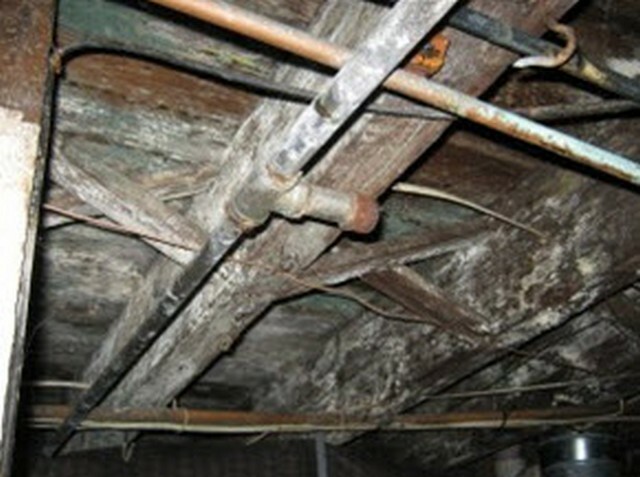 Then, when the water soaks into porous surfaces like wood, it encourages mold growth. So, bleach can actually make your mold problem worse. 2. Bleach only removes the color from mold. After you spray bleach, only the surface appears clean. But the problem is, the mold’s roots, or hyphae, continue to grow. 3. The EPA and OSHA specifically advise against using bleach for mold remediation. 4. Chlorine bleach is extremely harmful to surfaces. For example, when you use bleach is on wood, it starts to weaken it by breaking the fibers. When you spray bleach on metal, it starts to corrode it almost immediately. 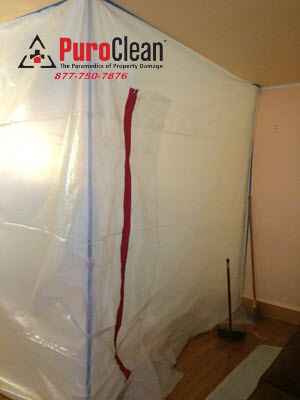 Thus, using bleach to kill mold creates problems with the structural integrity of a home. 5. Bleach is extremely corrosive. When you spray bleach and it evaporates, it releases chlorine gas. It irritates and eventually causes damage to the skin, lungs, and eyes. 6. The corrosive nature of bleach is even worse when it’s mixed. Bleach should never be mixed with acids, because it causes dangerous fumes. Remember: Mixing cleaning compounds containing ammonia with bleach and ammonia produces deadly gasses that can kill with just a few breaths. 7. Bleach doesn’t work as a sanitizing agent when it’s mixed with organic material. To be a successful sanitizer, bleach has to be used on clean materials and surfaces. That’s why bleach products get used in the laundry after the wash cycle. Light and heat compromise the sanitizing properties of bleach. Despite the fact that the chlorine odor lingers for a while after you use it, bleach loses strength so quickly it doesn’t have a residual effect. That is, it doesn’t prevent future bacterial or fungal growth. 8. Most bleach products are not registered with the EPA to be used as antimicrobial agents. 9. And last, but not least, you don’t want to use bleach to kill mold because there are many antimicrobial alternatives readily available. 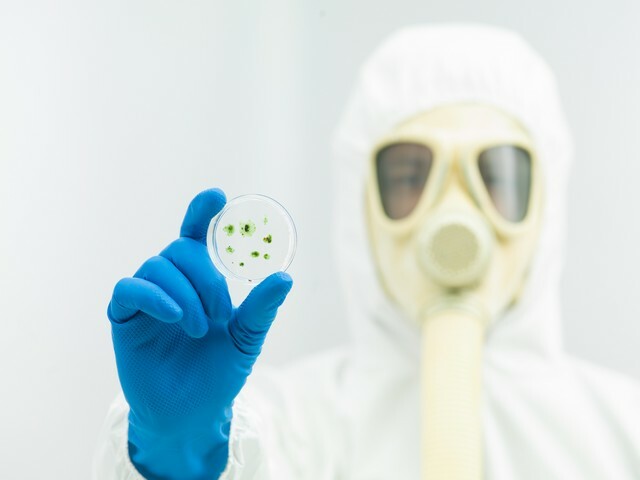 These antimicrobial agents are registered with the EPA specifically for killing mold. Some are formulated to be friendly to the environment, your family and your pets. In addition, they are cost effective, easy to use, and, they have a true residual effect. That means they actually prevent bacteria and mold from regrowing. 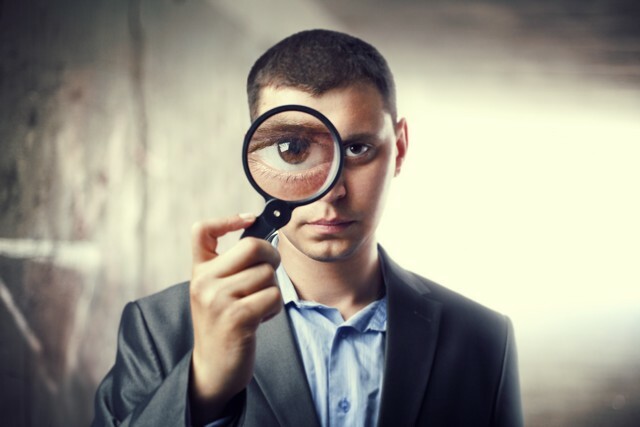 Finding mold in your home or commercial property can be scary. 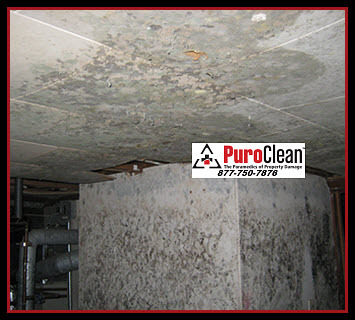 If you have questions about mold removal, in the Philadelphia, PA and Cherry Hill, NJ area, give us a call at 877-750-7876. 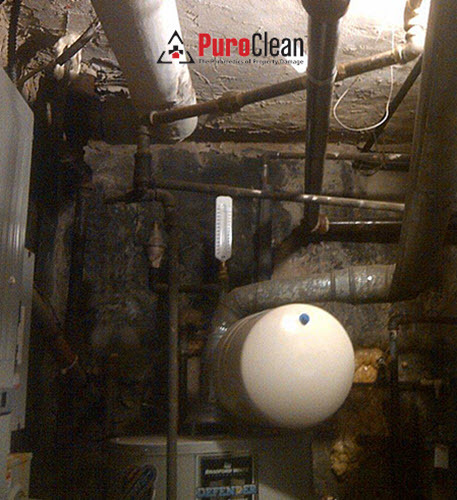 In every job we do, we follow the IICRC recommended protocol for safe mold removal, including building containment to protect the rest of your home or office from mold contamination, while we kill the mold you can see, as well as the mold you can’t! Should I Be Worried About Dead Mold Spores?